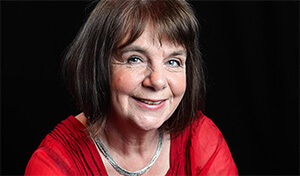 Julia Donaldson is one of the UK’s most popular children’s authors. Her books - including The Gruffalo and Room on the Broom – have won many prizes and are perennial bestsellers around the world. She is also the author of many songs, plays and novels including the award-winning Running on the Cracks for teenagers, the Princess Mirror-Belle stories and The Giants and the Joneses. In 2011 Julia was appointed Children’s Laureate and received an MBE in the Queen’s Birthday Honours list for her services to literature. Julia lives in West Sussex with her husband, Malcolm, who often joins her on stage for their sell-out sing-along shows. 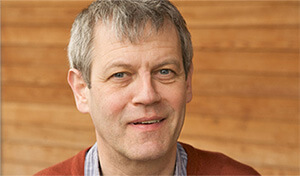 Axel Scheffler moved to the UK from Germany to study at the Bath College of Art. His career as an illustrator of children’s books began in the late 1980s; since then Axel has achieved worldwide acclaim and his books have been translated into over seventy languages. He has worked with a variety of authors, illustrating fiction as well as picture books. His first book with Julia Donaldson, A Squash and a Squeeze, was published in 1992, and has been followed by bestselling and award-winning favourites, including The Gruffalo, Room on the Broom, The Highway Rat and The Scarecrow’s Wedding. Axel has also illustrated titles for younger readers such as Noisy Farm and The Bedtime Bear, as well as the popular Pip and Posy series. Axel lives in London with his family.